Kyoto is an old capital of Japan. The Emperor lived in Kyoto until the 19th century. Then , he moved to Tokyo. There are two reasons for Kyoto’s old culture. 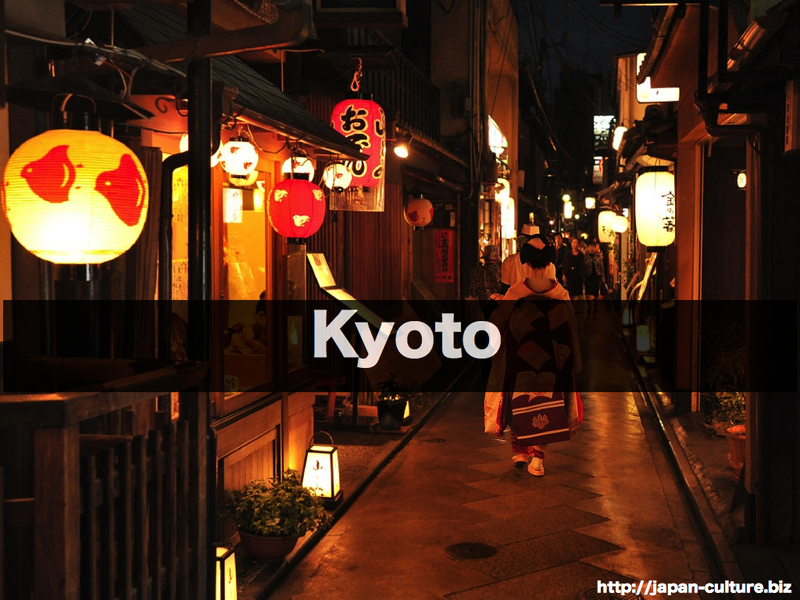 Kyoto became the capital in the 8th century and was the center of Japanese culture for a very long time. Also, Kyoto was not targeted for bombing during the Second World War, so we can still enjoy the many old buildings, gardens, and art work. Kyoto is a big city and has many modern buildings too. But if you spend some time there, you will see many beautiful historic sites.